BRAND NEW CONSTRUCTION– READY FOR OCCUPANCY!! 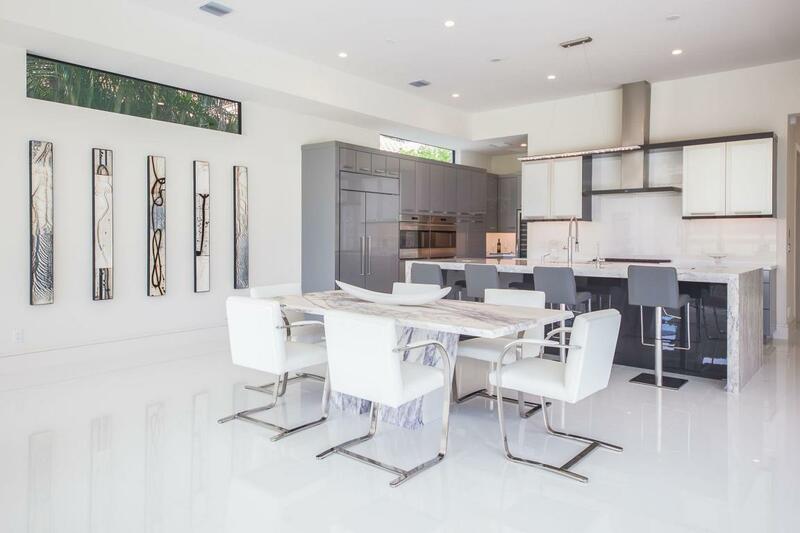 With custom contemporary design & outstanding fine finishes throughout, enjoy lush panoramic golf course views from this new, 4 bedroom, 5 1/2 bath, outstandingly modernistic home. With 6006 total sq ft, this open design, split floor plan home boasts floor to ceiling glass, an incredible gourmet kitchen with gas cooking, 3 car + golf cart garage, porcelain, quartz and granite finishes, designer cabinetry, en-suite baths & so much more! Delaire Country Club is a boutique community with 325 custom homes surrounding a BRAND NEW championship 27 hole golf course. Outstanding cuisine, fitness, pool & tennis facilities & no tee times! Parents children & grandchildren of homeowners use facilities at no charge. 20K bond, refundable. 60K initiation.